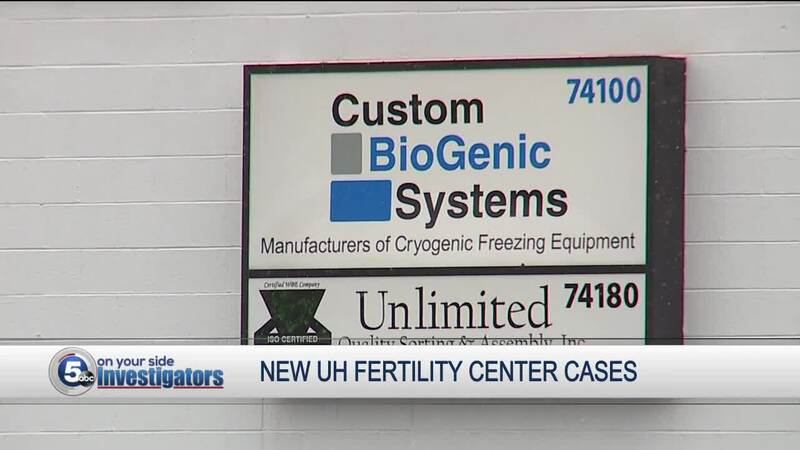 A lawsuit filed against University Hospitals, equipment manufacturers and delivery services that was unsealed on Tuesday describes a series of events going back to 2011 that allegedly led to the loss of thousands of eggs and embryos at UH’s fertility clinic last year. It also states that those patients represented in the lawsuit viewed the eggs and embryos as their future children and suffered “extreme emotional distress and grief regarding the loss of their eggs and/or embryos and the fact that they cannot use the eggs and/or embryos as desired and will not be able to have children or plan a family as they had hoped." As University Hospitals works with the court and counsel in moving these cases towards resolution, we do so respecting the court’s order that these cases should be tried in a courtroom, and not in the media. Therefore, we will not comment further. University Hospitals remains deeply sorry for the impact this event has had, and how it has affected our Fertility Center patients and families.